Metaplastic breast carcinomas are an aggressive subtype of triple-negative breast cancer (TNBC) in which part or all of the adenocarcinoma transforms into a non-glandular component (e.g., spindled, squamous, or heterologous). We discovered that mammary-specific Ccn6/Wisp3 knockout mice develop mammary carcinomas with spindle and squamous differentiation that share upregulation of the oncofetal proteins IGF2BP2 (IMP2) and HMGA2 with human metaplastic carcinomas. Here, we investigated the functional relationship between CCN6, IGF2BP2, and HMGA2 proteins in vitro and in vivo, and their expression in human tissue samples. MMTV-cre;Ccn6fl/fl tumors and spindle TNBC cell lines were treated with recombinant CCN6 protein or vehicle. IGF2BP2 was downregulated using shRNAs in HME cells with stable CCN6 shRNA knockdown, and subjected to invasion and adhesion assays. Thirty-one human metaplastic carcinomas were arrayed in a tissue microarray (TMA) and immunostained for CCN6, IGF2BP2, and HMGA2. CCN6 regulates IGF2BP2 and HMGA2 protein expression in MMTV-cre;Ccn6fl/fl tumors, in MDA-MB-231 and − 468, and in HME cells. CCN6 recombinant protein reduced IGF2BP2 and HMGA2 protein expression, and decreased growth of MMTV-cre;Ccn6fl/fl tumors in vivo. IGF2BP2 shRNA knockdown was sufficient to reverse the invasive abilities conferred by CCN6 knockdown in HME cells. 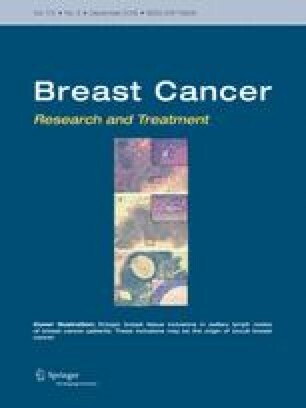 Analyses of the TCGA Breast Cancer Cohort (n = 1238) showed that IGF2BP2 and HMGA2 are significantly upregulated in metaplastic carcinoma compared to other breast cancer subtypes. In clinical samples, low CCN6 is frequent in tumors with high IGF2BP2/HMGA2 with spindle and squamous differentiation. These data shed light into the pathogenesis of metaplastic carcinoma and demonstrate a novel CCN6/IGF2BP2/HMGA2 oncogenic pathway with biomarker and therapeutic implications. Emily R. McMullen and Maria E. Gonzalez have contributed equally to this work. The online version of this article ( https://doi.org/10.1007/s10549-018-4960-2) contains supplementary material, which is available to authorized users. We thank all members of the Kleer laboratory for helpful discussion. We thank Tina Fields from the Histology laboratory for assistance with immunostaining. This work was supported by National institutes of Health (NIH) Grants R01CA125577 and R01CA107469 (C.G.K. ), and the University of Michigan Rogel Cancer Center support Grant P30CA046592. Dr. Dafydd Thomas is consultant of Resonant Therapeutics. The other authors have no conflicts of interest. All applicable international, national, and/or institutional guidelines for the care and use of animals were followed University of Michigan UCUCA protocol #: PRO00006984 (approval date 6/23/2016, expiration date 6/23/2019).